An exciting path where the jumps reach 8 meters and test the courage even of the most experienced. An excursion immersed in the wild nature of Trentino, between ravines and rocks sloping, with the river to act as a protagonist and master. 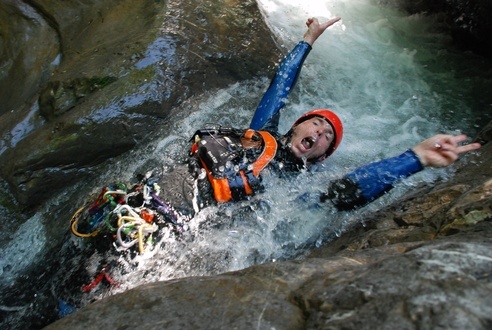 This beautiful canyoning is truly unique. 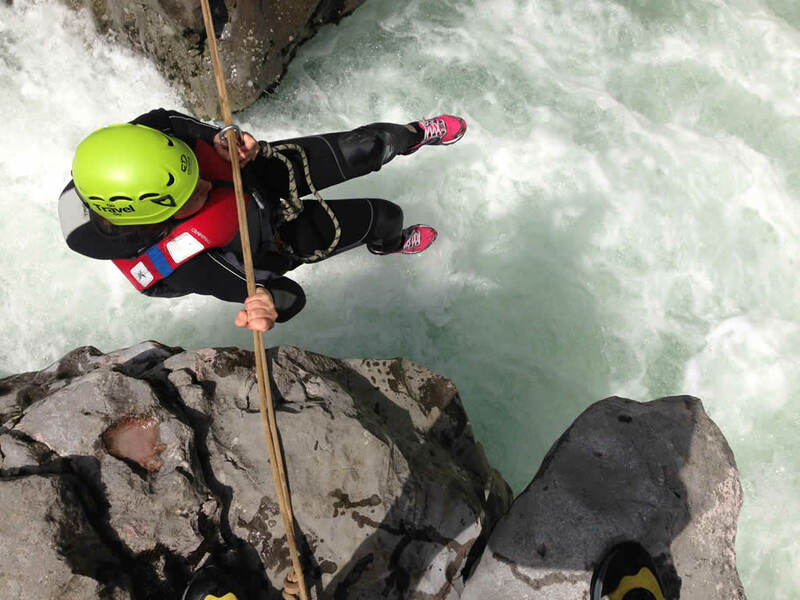 You will experience the thrilling of jumping and you will be pleasantly lulled by the waters of the River Sarca… an experience you will not forget easily ! 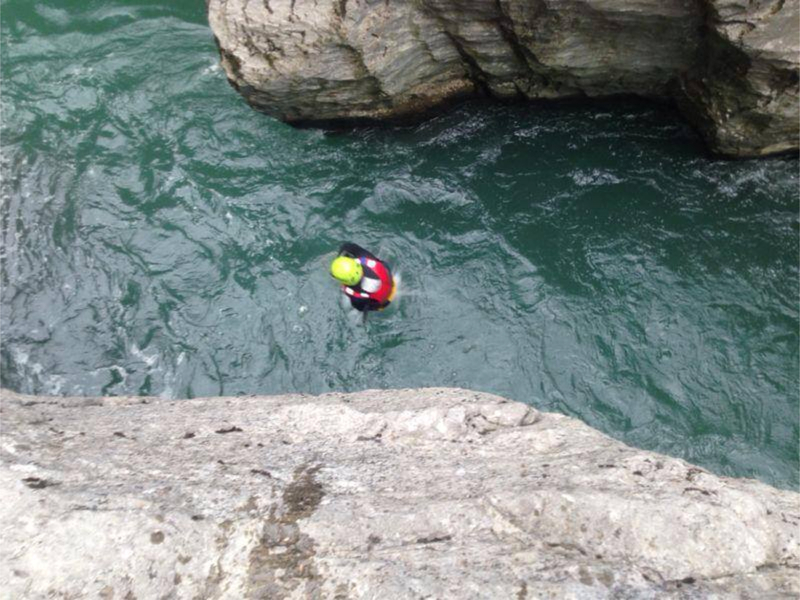 The route starts from Maso Limarò; climbing down a path of our forests, we will reach the bed of the gorge, going down again the river between jumps and narrow passages, until reaching the calm waters, where we climb to the farm through a shod path with breathtaking views! 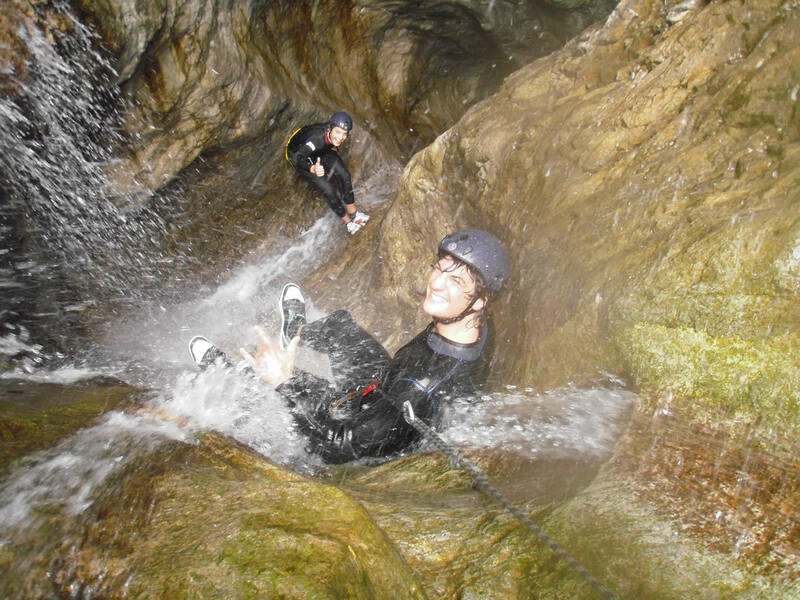 A mix of adrenaline with activities of water, earth and rock.